The capstone of the science of Kriya Yoga is the Cosmic Cobra Breath, a precious gift to humankind from Mahavatar Babaji Nagaraj. This ancient breath technique was long held secret because of its great power. It prepares the mind and body for the safe, controlled movement of kundalini. 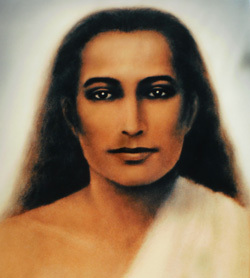 Babaji is the source of the Ipsalu work. Born in 203 AD, he was initiated at an early age into the mysteries of Kundalini Yoga. He retired to a Himalayan cave, absorbed in intense yoga practice, finally to emerge “laughing at the limitations of death.” He has retained his form through the centuries, guiding the spiritual development of those who seek his help. He is not at all interested in gathering a following, and lives in seclusion in the Himalayas, in an ashram known only to a few advanced students. Babaji has made a commitment to remain on the planet assisting people to reach enlightenment until every Soul has completed that journey. Babaji added his enhancements to the Kundalini Yoga, renaming it Kriya. 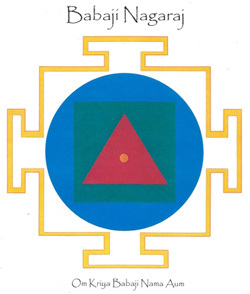 The Kriya tradition had been lost to the world during the Dark Ages. It was restored in the mid-1800s by Babaji. If you practice the Cobra Breath, you attune yourself to Babaji, as he is the physical manifestation of that energy. It is a pure expression of unconditional love. You might find, in deep meditation, that you will get a glimpse of him or feel his presence. Some people want a guru-figure to assist in their spiritual evolution. Some enjoy having a highly evolved friend and role model. Babaji is very available and his presence brings some of life’s sweetest moments. “Babaji” means “honored father.” “Nagaraj” means “King of the serpent,” referring to Kundalini which is often represented in serpent form. Devotional chanting of the mantra “OM KRIYA BABAJI NAMAH AUM,” when used in conjunction with the powerful yantra which represents his energy, will call in the assistance of the Himalayan master directly. Osho was an enlightened mystic, a Tantra master from India, whose profound knowledge and wisdom has impacted millions of people around the world. His discourses have been transcribed into over 650 books (64 million words) in print! He teaches about freedom, love, enlightenment, and how to heal our lives from the inside out. His emphasis on emotional healing sets him apart from other yogis. He said that Tantra begins where yoga leaves off. Therapies from every western modality were offered at his ashram. His approach was psychological, not philosophical, existential not theoretical. The meditation techniques that he devised are psychotherapeutic because that is where most of us must begin. Osho left his body in 1990, and yet the numbers of people who study his teachings continue to grow. His wisdom takes you beyond time, beyond the mind, for a glimpse of enlightenment. 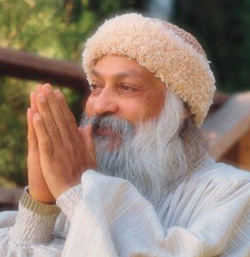 Osho was one of the world’s best known and respected spiritual masters. He was also one of the most revolutionary and controversial. The words he used and the techniques he devised were specifically tailored to meet the needs of thousands of spiritual seekers from all over the world. Countless statements from his vast outpouring could be invaluable quotations. The following is his response to a question about Shaktipat, energy infusion from a master as a short-cut. Here he is urging people to do their spiritual practice (sadhana), including emotional clearing, if they hope to attain enlightenment. “A man never gets less than he deserves. It is the justice of universal law. You get as much as you are prepared for. If you don’t get it, you are lacking in preparation. We always get according to our own worthiness.